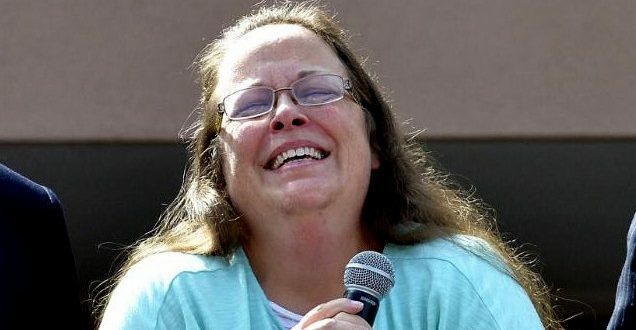 Mat Staver: The Lord Is Leading Kim Davis Into Ministry - Joe.My.God. “Kim did not campaign. Kim just focused on doing her job. She ran a very unconventional campaign. She didn’t do official fundraisers. She didn’t go out and beat the bushes. She’s not someone who’s your typical politician. Not because she wasn’t interested, she just wanted to do the job. The guy who won, frankly, he doesn’t have a clue on how to run the clerk’s office. It’s a lot more than just issuing marriage licenses. What I think she’s now going to do and where she’s been wanting to go, is into some form of ministry. That’s where the lord has been leading her.” – Liberty Counsel head Mat Staver, speaking today on Christian radio.